most of them are poor. They don’t earn enough to be able to go on vacations to other countries. Most of them wish to go for Hajj to Saudi Arabia, and this they are able to do only when they are very old; having struggled to save over many years for the journey. Of course, there are rich and literate Indian Muslims whom one occasionally meets (mostly in the UAE and Saudi Arabia), and when you talk to them, they are adamant that the population of Indian Muslims is much more than that declared by their government. I have heard this many a times from the few educated Indian Muslims I have come across during my trips to foreign countries. However, Hindutva extremists fear that Indian Muslims are growing exponentially and India will soon become a Muslim-majority state. This is because, according to the past seven Indian censuses (1951 to 2011), Muslims have grown from 11.66% to 14.23% of the total Indian population. What they don’t know is that their governments have tried to keep Hindutva extremists calm by deliberately suppressing the actual number of Indian Muslims. I mean, if virulent Hindutva extremists are terrified by just a 2.75% increase in the Muslim population in 60 years, they will definitely come out on the streets and kill all Muslims in sight if told that the number of Indian Muslims is actually around 22% of the total population. So I have done a lot of research over the past few months and I can easily prove that fudging has taken place when recording the number of Muslims in India. I shall try to explain as simply as possible. Let us start with the Indian census of 1941, six years before the British left the sub-continent. According to the Hindutva extremist Jana Sangh’s website, in 1941, the number of Muslims in undivided India was 94.4 million, half of whom lived in what later became Pakistan (including Bangladesh). The 47 million Muslims of Pakistan and Bangladesh had grown to about 326 million in 2011, while the 47 million Muslims in India had grown to only 172.2 million in the same year. This is a big difference of 153.8 million. However, we have to take into consideration the migration of Muslims from India to Pakistan and Bangladesh immediately after Partition. According to Indian census data, the population of Indian Muslims grew by 33% between 1951 and 1961. If we assume that the population grew at the same rate between 1941 and 1951, the Muslim population in India in 1951 would have been 62.5 million. The exact number of Muslims who left India to settle in Pakistan and Bangladesh after Partition is unknown, but is estimated to be between six and eight million. 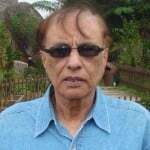 If we assume that seven million Muslims left India after Partition, and that another million Muslims died in the Bengal famine of 1943, the Indian Muslim population in 1951 would have been about 54 million, instead of 35 million as recorded in the 1951 census. Again, according to Indian census data, the Indian Muslim population grew by about 386% in 60 years from 1951 to 2011. If the population had been recorded at 54 million in 1951, it would and should have been about 262 million today (assuming that it grew by 386%, as per India’s data itself). 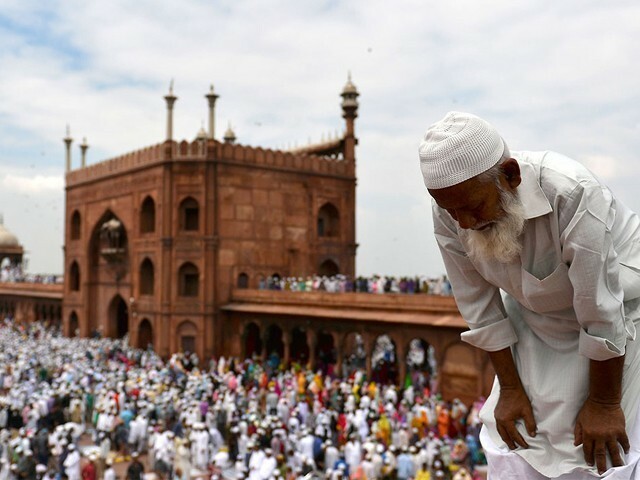 Since the 2011 census reported the number of Indian Muslims as 172 million, there are at least 90 million Indian Muslims who have not been registered by the Indian authorities. This means that in 2011, there were at least 22 Muslims out of every 100 Indians. So the question then arises, why don’t Indian Muslims speak up? One reason could be that they are too busy struggling desperately to survive, and don’t care whether they are registered or not, since they know that they will always remain the underdogs in a country which is rapidly heading towards Hindutva Talibanisation. Then of course, there is the Indian government itself, which wants to ensure that India remains a Hindu-majority country. They fear that once a state has more Muslims than others, that state could demand independence. Already West Bengal, Assam and Kerala have more than 25 % of Muslim population, while Uttar Pradesh (UP) and Bihar have a significant Muslim population. But Hindutva extremists should ask themselves why Muslims are growing so rapidly, while Hindus are declining in India. Perhaps a high protein diet (including beef) increases fertility?